DataSpace Digital Pen Technology is a new, fast and convenient way of performing electronic data capture in the field and instantly relaying this information to your head office, allowing you to automate form-based information capture removing the usual issues associated with field-based information gathering. Pen and paper remain the simplest and most convenient way for mobile workers to capture information. Many organisations have tried expensive tablet PC and PDA mobile working solutions but in many cases these have fallen short due to difficulties encountered during the deployment and use of these. 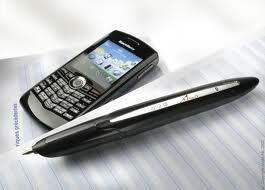 The DataSpace Digital Pen uses a digital pen and specific paper forms for electronic data capture as the user writes. Despite looking like a conventional pen it also includes a tiny camera. The paper forms used by the Digital Pen include a dot pattern that is almost invisible to the naked eye. This dot pattern is read by the camera as the user writes and logs the exact position of the writing on the form in real-time. After completion of the form, the user would tick a small check box and the data would then be automatically transferred to head office using the users’ mobile phone. It is easy to use, incredibly portable and a very cost-effective form of electronic data capture. The delivered form output is of the highest quality and appears as though the original paper-form had been scanned using high-quality document scanning services.